Sheik Umar Khan, Sierra Leone’s only specialist in the virus who was leading the country’s battle against the West African Ebola outbreak has died from the disease less than a week after being diagnosed with Ebola. Khan, who has treated more than 100 patients, died on Tuesday afternoon. “It is a big and irreparable loss to Sierra Leone as he was the only specialist the country had in viral hemorrhagic fevers,” said Brima Kargbo, chief medical officer. Khan has been hailed as a “national hero” by the Health Ministry. Sierra Leone’s president was due to visit the treatment center he ran in the north eastern town of Kailahun, Reuters reports. Khan’s death follows the deaths of dozens of local health workers and the infection of two US medics in neighboring Liberia. 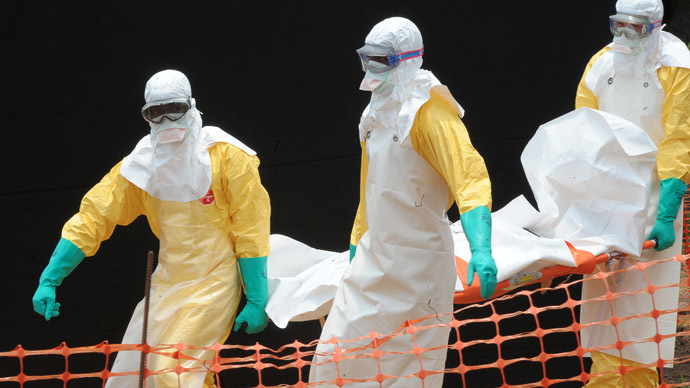 According to the World Health Organization (WHO) Ebola has killed at least 672 people in Guinea, Liberia and Sierra Leone, since the beginning of the outbreak back in February. The virus is highly contagious and has no cure. Its symptoms include vomiting and diarrhea, which then develops into internal and external bleeding. The disease has characteristically had a fatality rate of 90 percent but in this outbreak it stands at 60 percent. Despite a broad range of international help in fighting the disease, weak health systems in some of the world’s poorest countries are struggling to contain the outbreak. 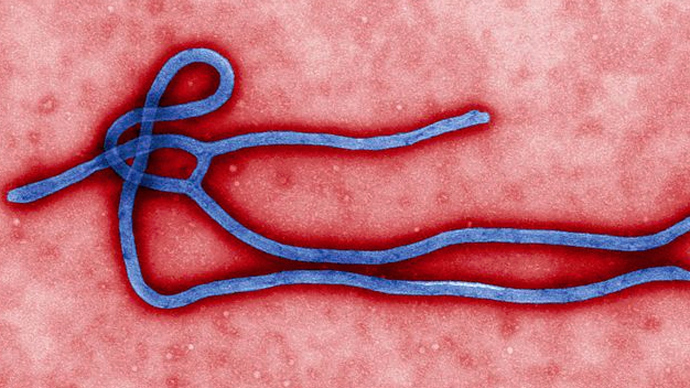 On Monday US President Barak Obama said that US agencies would step up their support to help contain the virus. 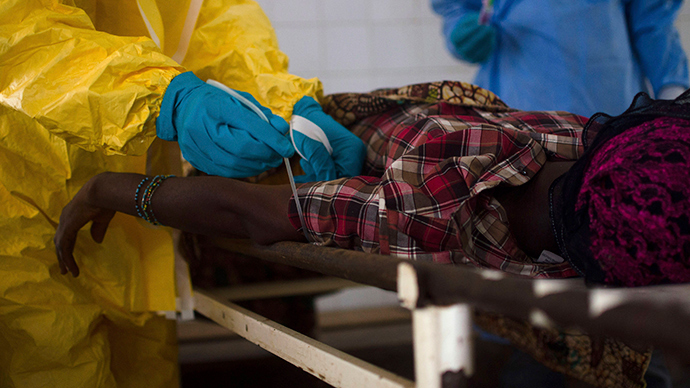 In an effort to stop the further spread of the disease, West African airlines have suspended flights in the region. Togo based Asky Air has cancelled flights from Sierra Leone and Liberia, as panic spread after the first death was reported in the Nigerian city of Lagos, Africa’s biggest city with a population of 22 million. 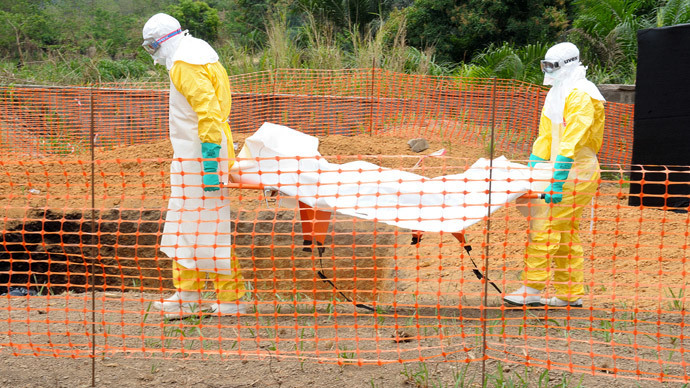 The airline also said it would no longer be taking food on in Guinea, where the Ebola virus was first identified. 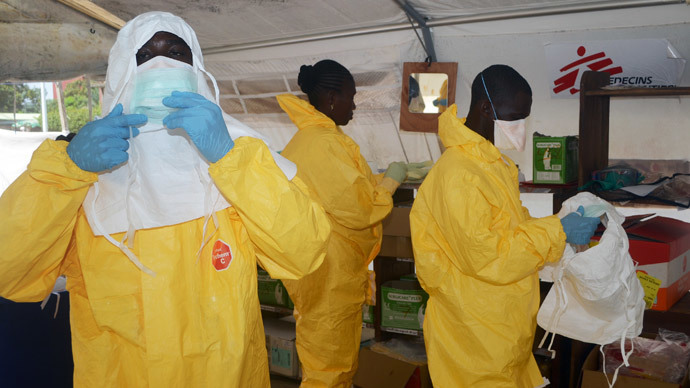 Asky Air also announced that any passengers boarding in Guinea would be checked for symptoms of the disease. While Arik Air, Nigeria largest carrier, has also stopped flights to Liberia and Sierra Leone. 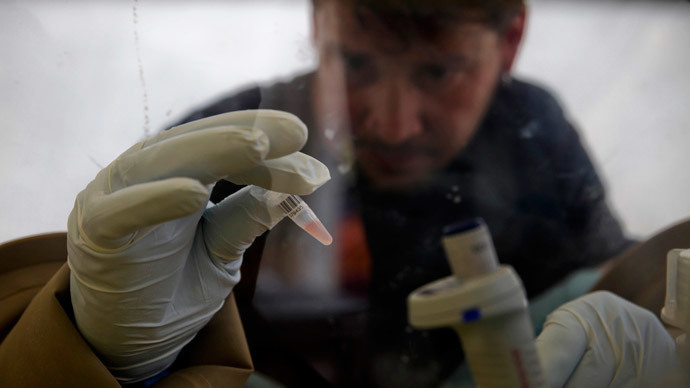 Officials have also tried to contain the virus by isolating patients, and trying to educate populations on how to avoid transmitting the disease. However, their efforts have been hampered by porous borders, satellite outbreaks and a widespread distrust of health workers and modern medicine among local people.